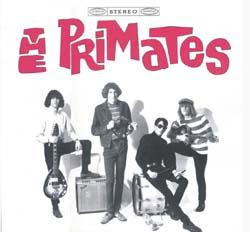 The Primates were a little known garage rock revival band that produced only a single album. It wasn't the greatest, but it was fun. Loud, brash, caveman stompin' garage rock complete with the fuzzy guitars and screamy vocals. Couldn't find much on the band, but what more do you need once you hear "I Ain't Like You" -- and it's the truth.